The Kiwanis Club of Ottawa Bed Race is among the best known and most successful of Kiwanis fund-raising events. Part of Winterlude, the world's largest winter celebration, the Kiwanis Club of Ottawa Bed Race is organized by the National Capital Commission. Teams made up of five participants each compete by pushing a hospital bed along a 100m course on the Rideau Canal. All proceeds to to the Kiwanis Club of Ottawa Community Service projects. Participants: The event attracts approximately 40-70 teams (500 participants) every year. Another 75 organizers and volunteers ensure that the event runs smoothly. Audience: The event draws active, athletic youth interested in sports like hockey, skating andrunning. The final day of Winterlude also attracts a large number of families. An estimated 125,000 visitors flock to Dows Lake on race day every year. You can help President Peter Charboneau reach his goal of $10,000 for the Accora Village Bed Race for Kiwanis presented by Allstream, by sponsoring him in the race. Put your team together for the annual Accora Village Bed Race for Kiwanis presented by Allstream. Register your team using "your-team-name-QCH". Raise pledges, and get people to sponsor your team (your team will have a profile for friends and family to donate to). Compete in fundraising, best costumes, and the Bed Race. The top fund raisers per category get featured at the Queensway Carleton Hospital. Winning categories for Top Fund Raisers are: Small Business (1-20 full time employees), Medium Business (20-199 full time employees) and Large Business (200+ employees). The Kiwanis Club of Ottawa has agreed to donate $2,000 towards Philippine relief, and encourages all members who would like to add to that amount to follow this link. In 2013 the Accora Village Bed Race for Kiwanis presented by Allstream helped raise over $50k for Kiwanis Club of Ottawa's programs. An important change that we made last year was the implementation of an on-line pledging system. This allowed teams to send out emails to friends and colleagues soliciting donors. This worked very well, and we would like to extend it this year by asking any Kiwanian who is not part of a team, to join the Kiwanis Head Boards. When you click on this link, you will be able to register for the event and join Peter Charboneau's Head Boards team. You don't have to run, you can just collect pledges. After you have registered, you will get a link that you can add to your email signature and ask folks to sponsor your team. 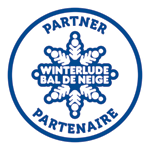 You can register your own team here and become part of this fun Winterlude event. The good news for the Bed Race is that we have our major sponsors looked after, however we are always looking for sponsors for our youth teams. For $500 you can sponsor one of the Key Clubs, Circle K or Cadet teams to allow them to participate. Last year Air Cadets and Circle K both raised an additional $1,000 each in pledges. On the day of the event, Feb 1, 2014, we need about 20 volunteers on the ice for each of two shifts. Initial setup, finish line judges, starters, help in the food tent. Shifts are about 3 hours, and it is always a fun event. Drop Jamie Johnson a note.